Nissan has unveiled a special edition model of their X-Trail SUV dubbed the “X -treme Trail limited edition”. It has been priced at Rs. 22.78 lakh for the LE-Grade (ex-showroom, Mumbai). The limited edition model will be on sale from the month of November 2011 at all Nissan 45 dealerships across India. The X-trail limited edition model has some minor but new features. It may attract buyers looking for a little more exclusivity and comfort. The X-trail competes with vehicles like the Toyota Fortuner, Mitsubishi Outlander and the Honda CR-V. 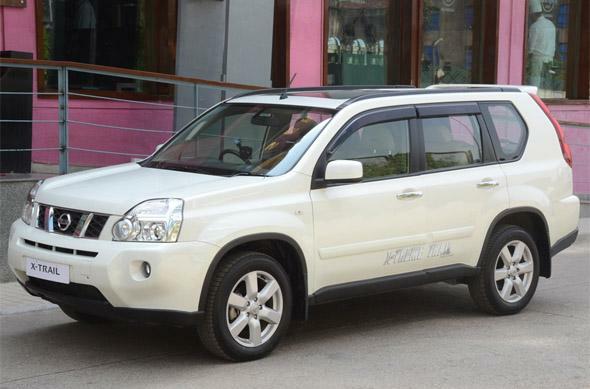 There will be minor changes in terms of looks on this special edition model of the X-trail. The X-trail limited edition gets a rear spoiler, special edition decals and door visors that give it a more appealing personality. In terms of new features the X-trail will sport a touch screen navigation system. It also has a kicking plate with LED, body side moulding, rear scuff plate, cargo drawer, floor mat and a rear bumper protector. The X-trail special edition sports the same engine as the regular model. It has a 1995 cc diesel engine that produces 150 bhp of power at 4000 rpm and 320 Nm of torque at 2000 rpm. The X-trail is a good looking SUV and is very comfortable even on mildly uneven terrain. The X-trail limited edition is priced same as the regular X-trail LE variant which is priced at Rs. 22.78 lakh (ex-showroom, Mumbai). Hence, the X-trail limited edition with added features such as the touch screen navigation system is a value for money proposition for buyers who have already decided to go for X-trail.